Plenty of SEO insiders have claimed that “link building is dead” in recent years, but the reality is, if you want your website to appear authoritative and popular in the eyes of the major search engines, you still need to be interacting with other well-established websites in your niche. The bespoke link building services from FSE are designed to expand and optimise your website’s link profile gradually and sustainably, shielding you from algorithmic penalties. We build high quality links from a range of sources, but the exact nature of your link building campaign will depend on the industry you’re in and the resources that are available. We don’t offer packages as such – we offer flexible, highly personalised link building services that are often developed with a great deal of input from our clients. Gone are the days when generating thousands of links from questionable domains will guarantee first page positions. The key to a successful SEO campaign is to develop a holistic, bespoke link building strategy that ties in with the overall marketing objectives of your organisation. Our team of SEO consultants have spent their careers developing an extensive database of websites that offer linking opportunities for clients in a huge range of industries. All of the websites we use for link building purposes have been manually vetted by our in-house team; we consider the platform’s domain authority, PageRank, traffic levels, overall functionality, usability, page load speed and a number of other factors to determine whether or not it meets our high quality standards and is suitable for inclusion in your link building campaign. How do we build links? Links can be acquired from a huge range of websites, from popular blogs and forums to genuine online directories. The key is to create a natural-looking mix of link types. We can deploy content marketing techniques, drive promotion via social media, and can even explore paid link options, including banner placements and sponsorship deals, if we believe these third party websites will bring enough value to your campaign. Our SEO link building services are managed and implemented by our in-house team to ensure that the work we deliver is of a consistently high quality. We’re also able to provide link reports at the end of every calendar month that contain details of the mentions your website has received. 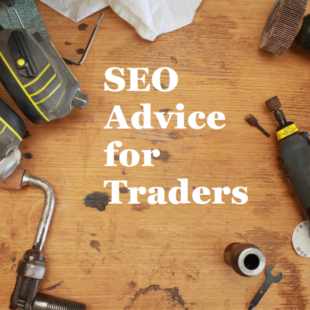 Discover why we’re one of the most trusted SEO link building companies in the UK. Contact us to discuss your project and get a quote today. 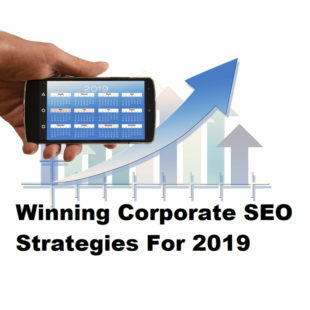 Despite increasing complexity in how search engines rank results, the basic mantra of relevant and authoritative still underlies the hundreds of signals used by Google and other major search engines. And link building remains the key to appearing authoritative. Using the number and quality of links to determine importance is the main principle of PageRank, the first and best known algorithm used by Google, and the single largest factor in propelling it to its current position as the most popular and trusted search engine in the world. A key word here, however, is quality and over the years, Google has gone to increasing lengths to make sure the best companies get the best ratings and to penalise those that breach their Webmaster guidelines to artificially inflate the number of links. Perhaps the best known of these measures is Google Penguin, which caused plenty of media attention on its introduction by significantly altering the search engine rankings by penalising sites that resort to “spamdexing” activities. While many see algorithms like Penguin as a threat to their SEO activities, we can ensure that they actually bring benefits to your company by using only the best quality links and tying link building in with our range of other SEO tools.